This one was just formally described in 2016, and in EXTREMELY limited supply!! Nepenthes aenigma is found on just a couple of mountains in the Luzon Province in the Philippines. 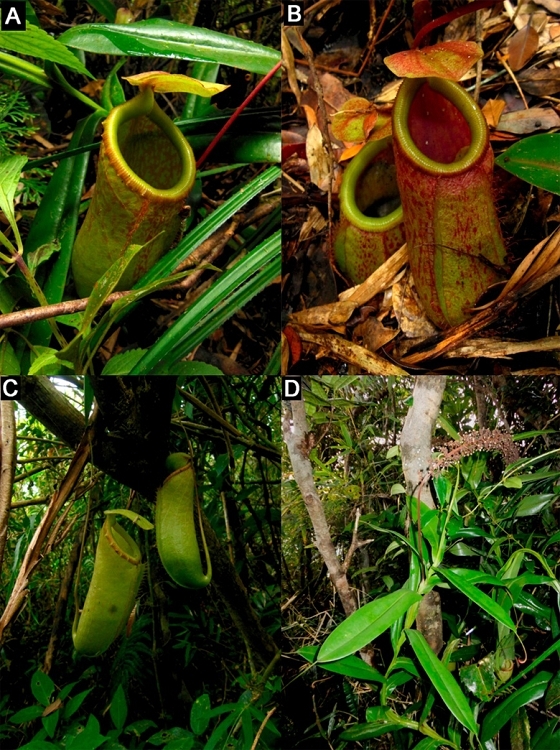 Its pitchers look somewhat similar to Nepenthes ventricosa, in that the pitchers are rounded and have a scalloped peristome (lip). But what gives this species its name is the fact that its growing habits are an enigma...whereas most Nepenthes prefer bright light (dappled shade here in the southern US), this new species grows in dense shade! This should be a wonderful choice for a windowsill terrarium or similar conditions! Plants up to 3 or more inches across, shipped potted and ready to grow in 3-inch pots. Get one NOW!! Note: for those who want to keep track of Borneo Exotics' item codes, this is BE-3770.